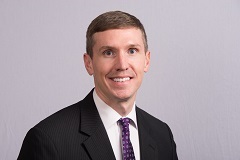 Travis is an attorney who represents management and employers in employment litigation, business disputes and matters prosecuted by the Mine Safety and Health Administration (MSHA) and Occupational Safety and Health Administration (OSHA). He uses unique or outside-the-box approaches to counsel employers and owners on all aspects of employment law and the development of preventive policies and procedures to avoid employment and workplace safety-related claims. Travis handles litigation in both federal and state courts, as well as claims pending with state and federal agencies, including the Equal Employment Opportunity Commission (EEOC), MSHA, OSHA and the U.S. Department of Labor (USDOL).